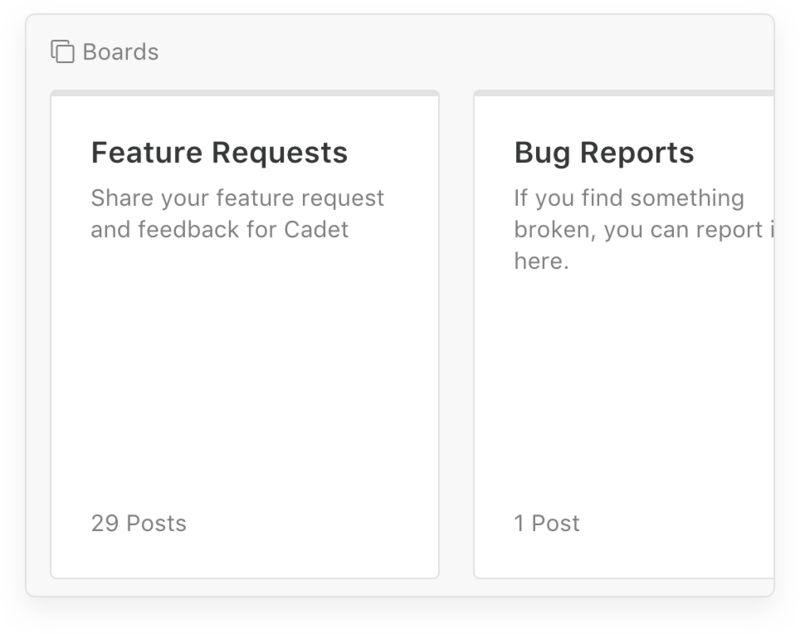 All the features you need to manage customer feedback and feature requests. Boards provide for a great way to collect feedback on different topics. 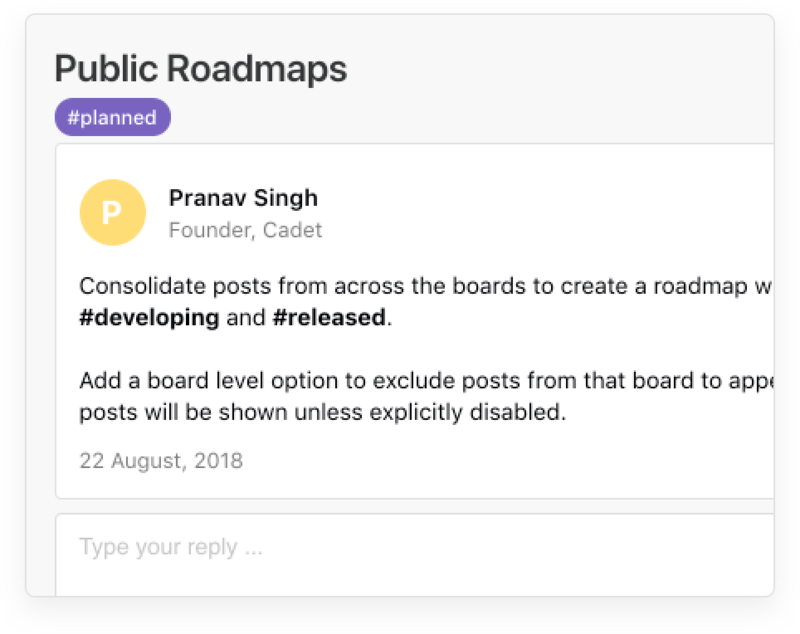 Boards can also be private and only accessible to admins. Users can upvote posts to show that they are interested in a feature. 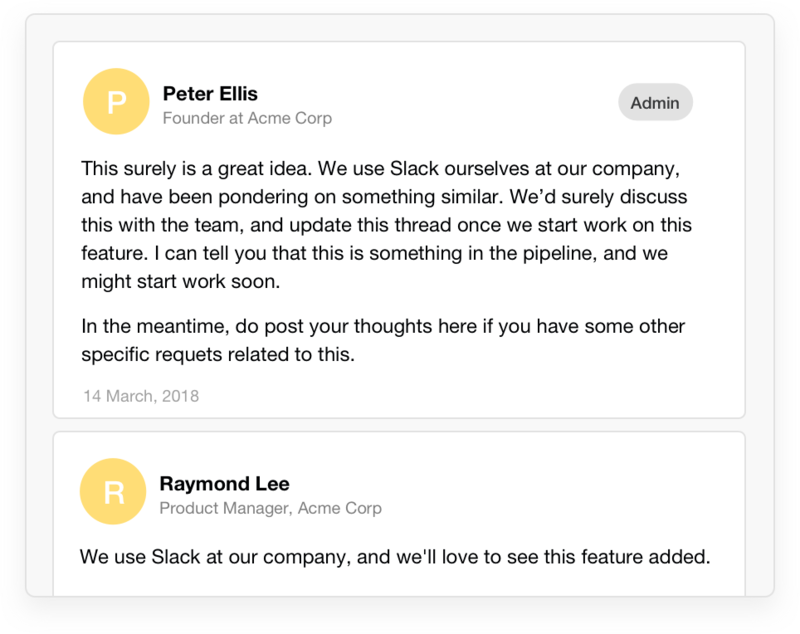 Easily collaborate with your customers through public comments. 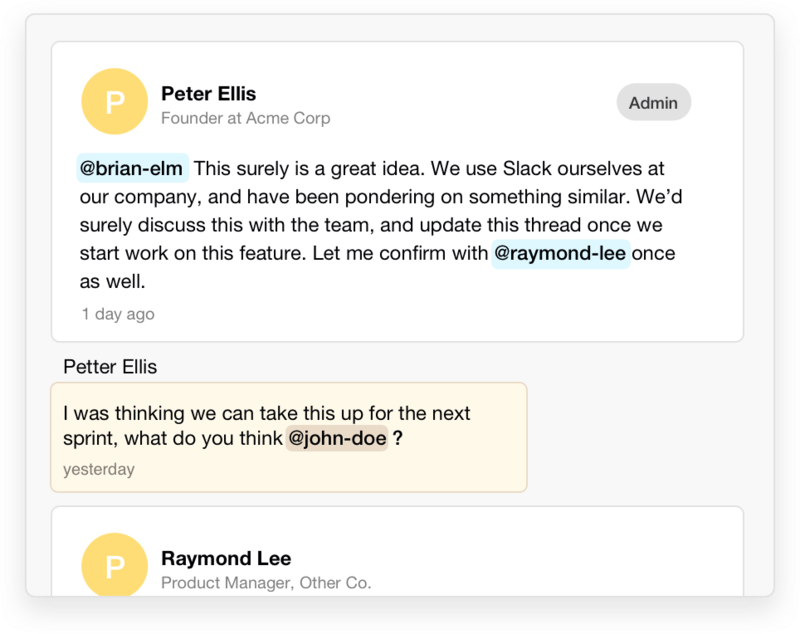 Coordinate with other admins with private notes - keep the context of the conversation alive, no need for email and team chat. Easily involve others in the conversation by tagging them in comments and private notes. 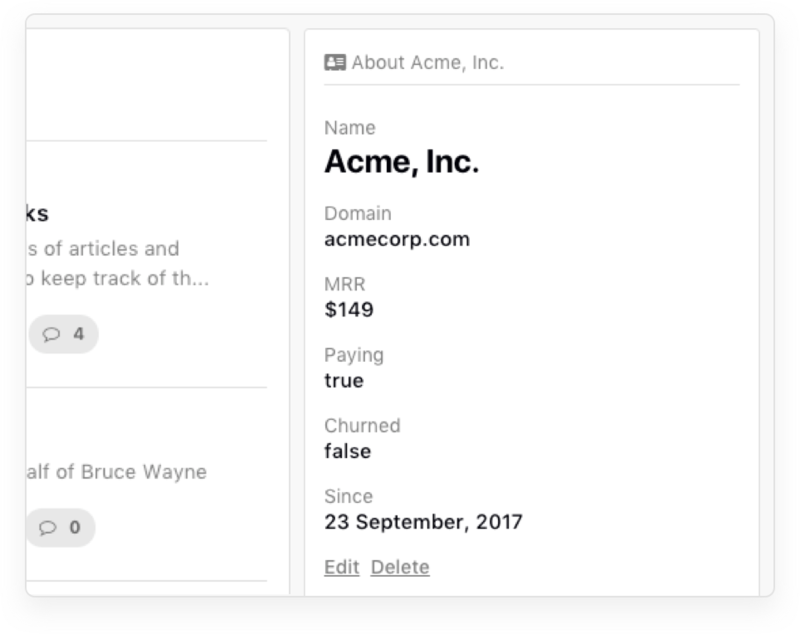 Format posts, comments and notes with markdown - quote texts, share code, and everything else. 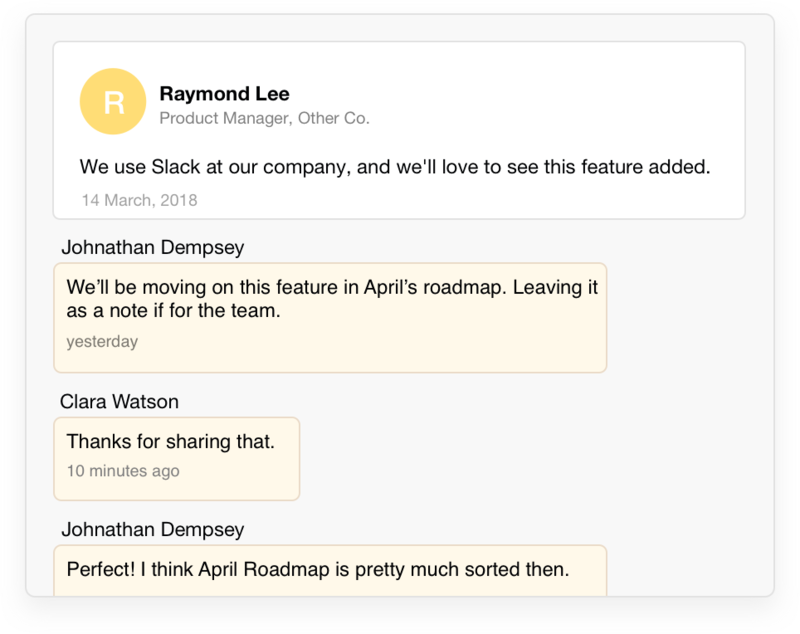 Close the loop with status updates about features. 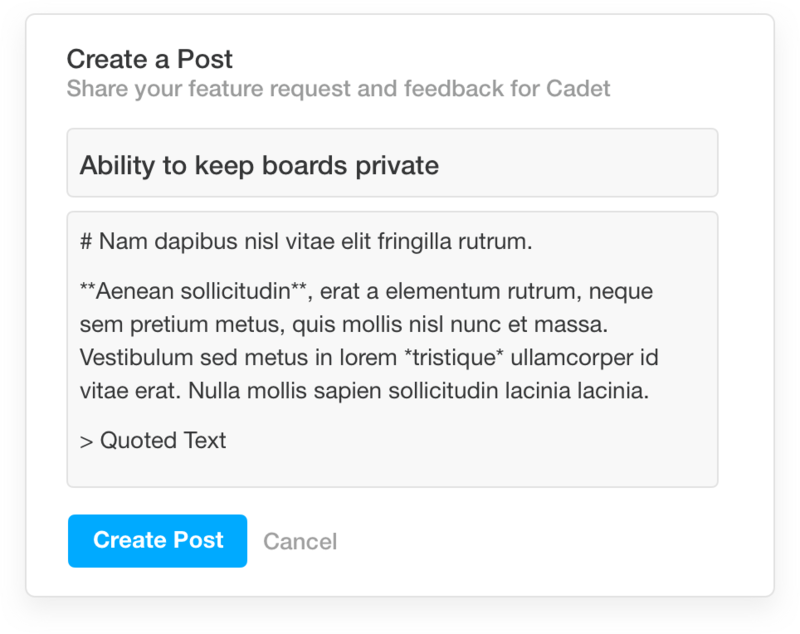 Users receive email notifications when the status of a post they’ve requested, upvoted or commented on changes. 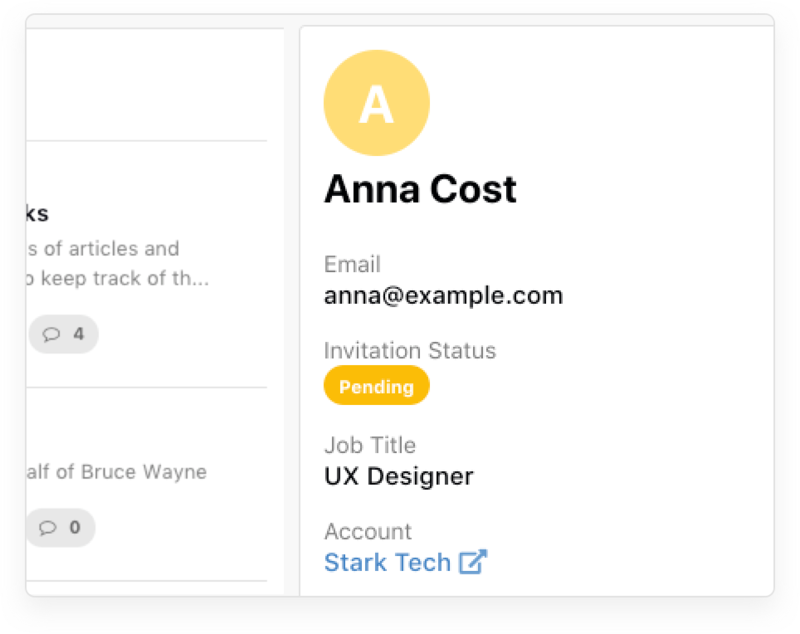 Create company profiles inside Cadet to know which features high value customers are demanding. 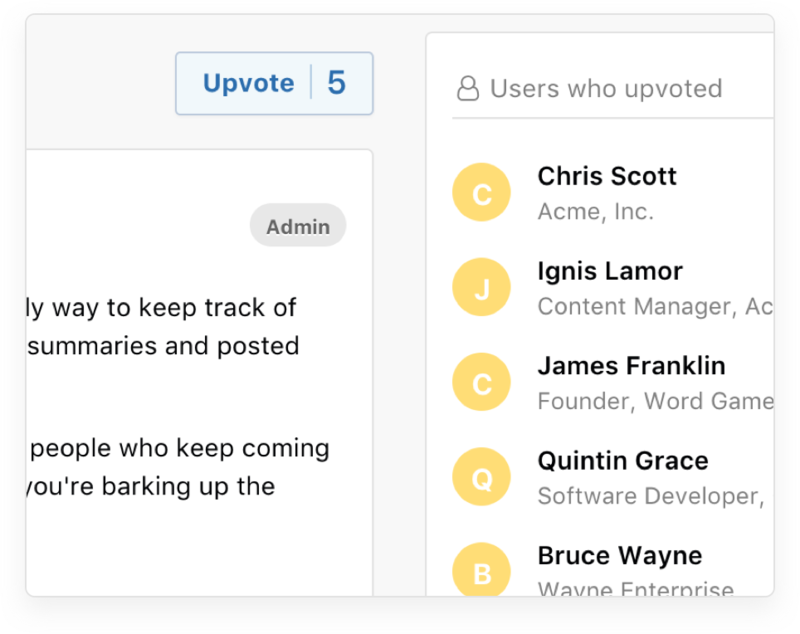 Easily find customers to know what posts they have requested or upvoted.